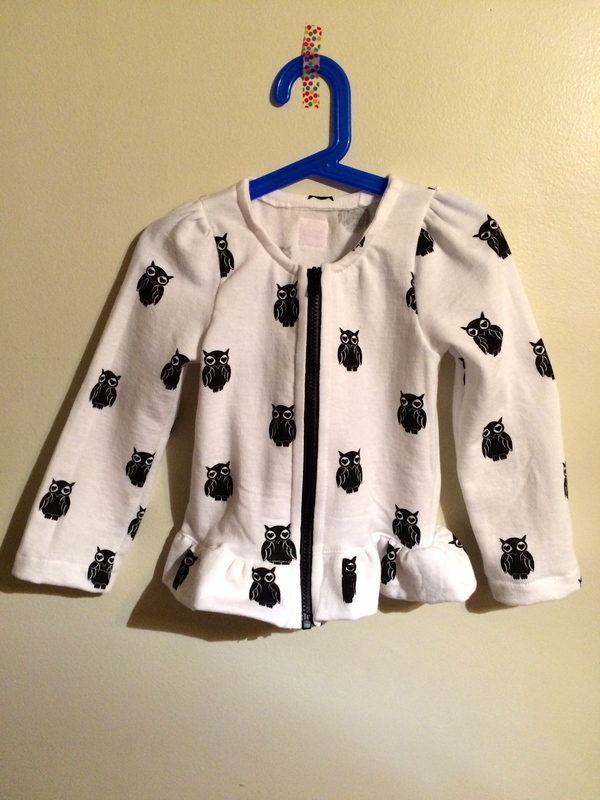 8 things to sew for kids in 2015! The holidays are over, and all you fellow DIY’ers have given out all your lovely handmade gifts. So why not move on to thinking about a few projects for the new year? This is a fully lined dress pattern that has lots of options – lined, unlined, full dress, peplum top, A-Line dress or A-Line top, sleeves, or sleeveless. 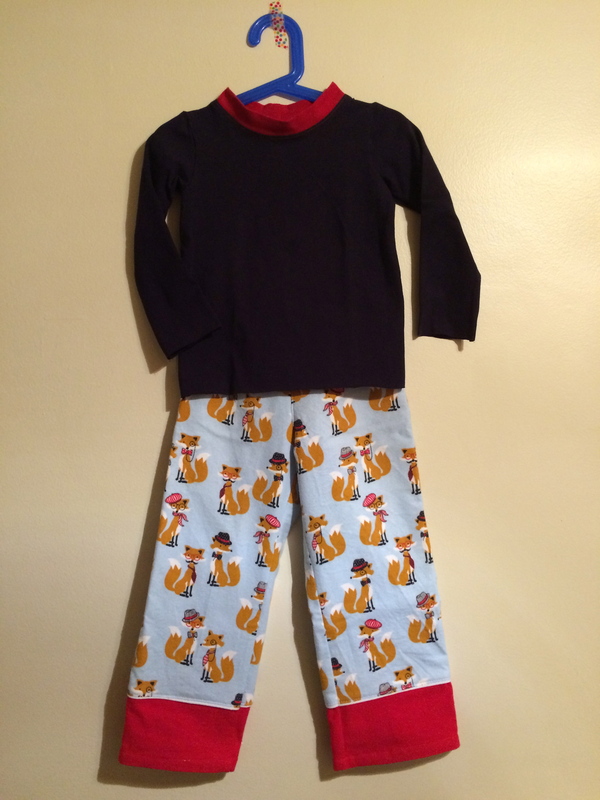 This pattern for sizes 2-years-old to 10-years-old is easy for beginners and has detailed instructions and photos for each step. There are no zippers or buttonholes (which can be intimidating if you are new to sewing, or if you don’t have machine with an automatic buttonhole feature). 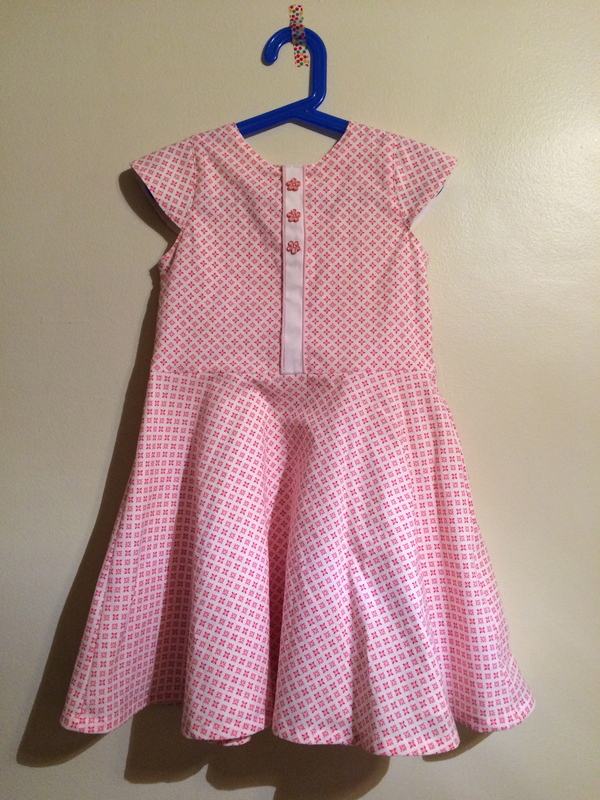 This version would be a great spring dress or a dress for Easter. The fact that it is a full skirt, and fully lined, makes it a little dressier and the skirt much fuller – for a little extra “twirl factor” which little girls love. 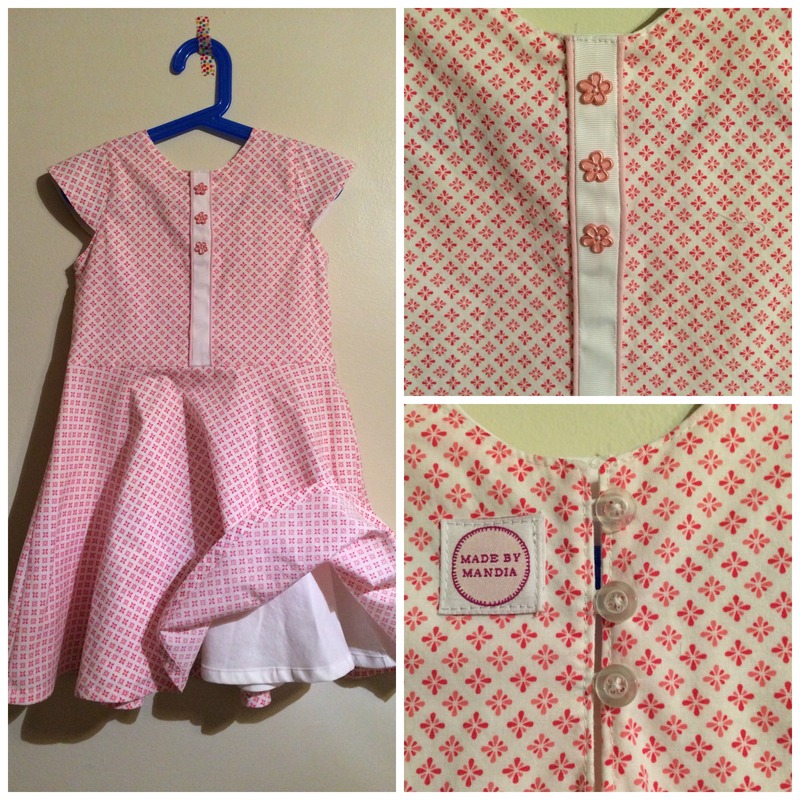 This is a free pattern that is sized from 12 months – 5 years old. It is a little sweatshirt with a few feminine touches – the mini peplum ruffle and puffed sleeves are too sweet. 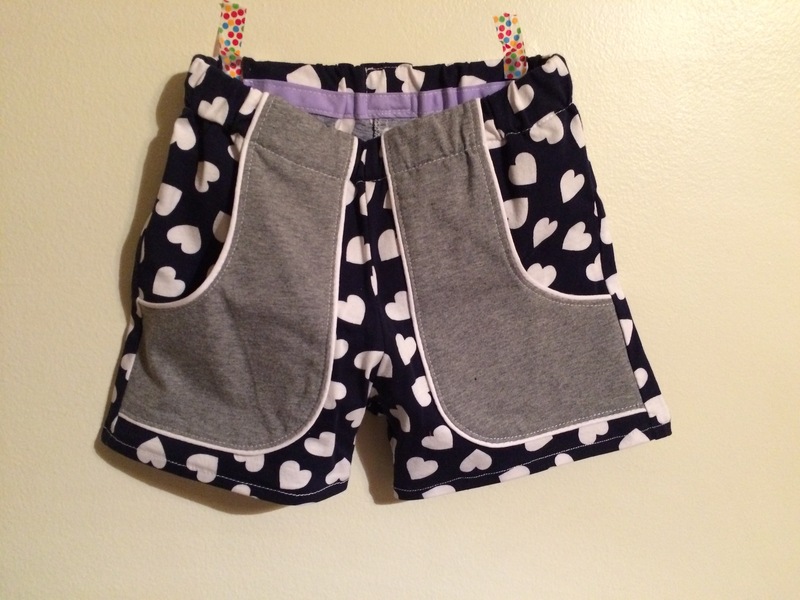 There are detailed instructions on their blog and help for those just learning zippers. This one I made from a light sweatshirt material in a size 5. How sweet will this be when the temperatures start to warm up? I paired the above little sweatshirt with a pair of comfy leggings. 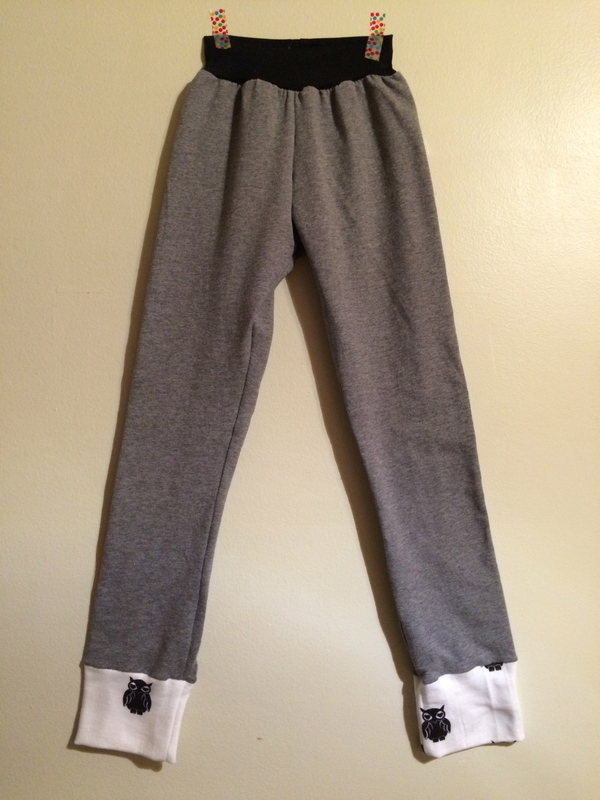 The original pattern I used was the Capri leggings pattern by Lil Blue Boo. I extended the pattern to have full-length legs and I added the cuffs and lengthened the back rise to ensure that my little one with a generous “booty” wouldn’t be showing her behind while she was playing. I love that this pattern has no elastic – the waistband is made from knit – so it is soft and squishy, adding to the comfort factor. It seems as though the pattern I purchased is no longer posted. 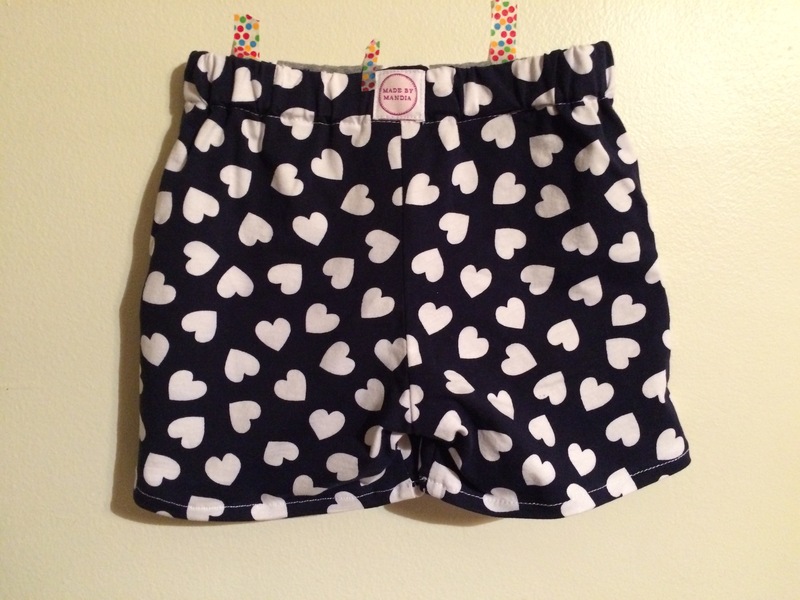 So here is another great option for sizes 12 months to 12 years old. Everyday we get a little closer to summer – right? 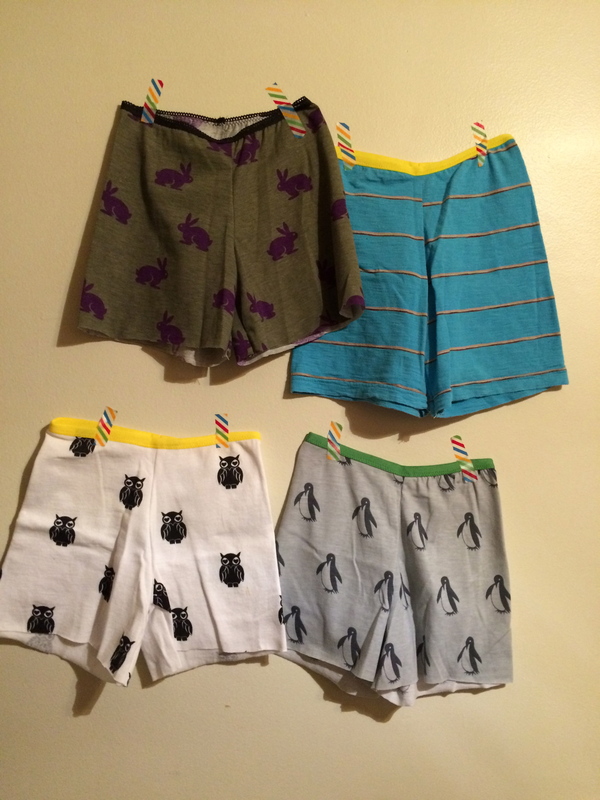 So, how about adding some shorts to your 2015 sewing project list? 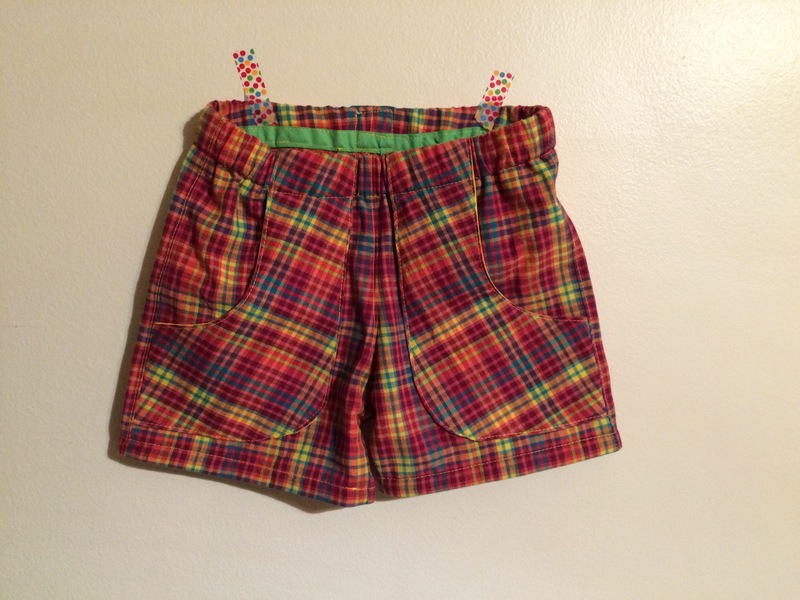 The shorts pattern I use as my “go-to” has a variety of lengths for boys and girls; pocket options and even a fun finish to make the shorts retro-style. 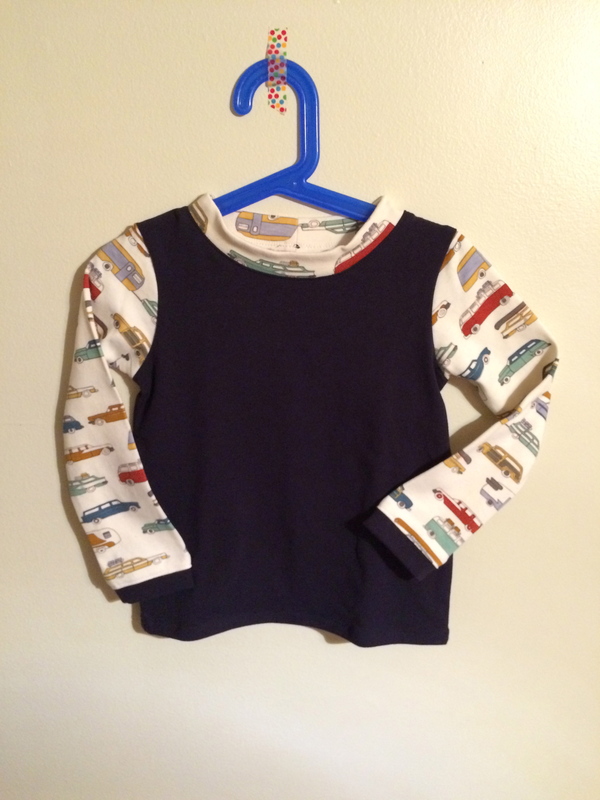 Sizes are from 12 months to 10 years. 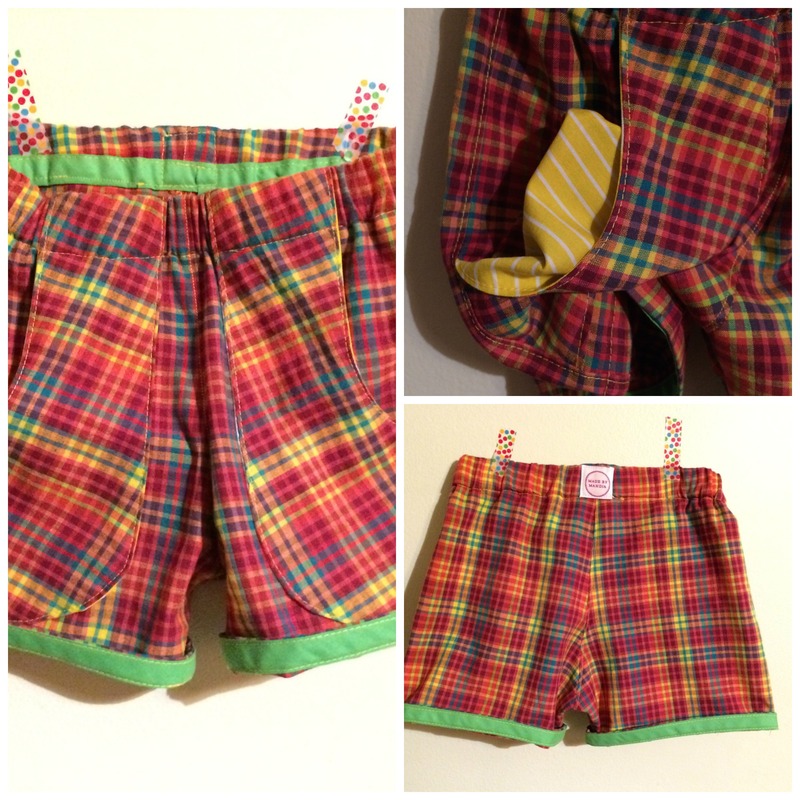 These two I made are the girls’ style – in a short-short length with pockets on the front. I made a knit pair and cotton pair. 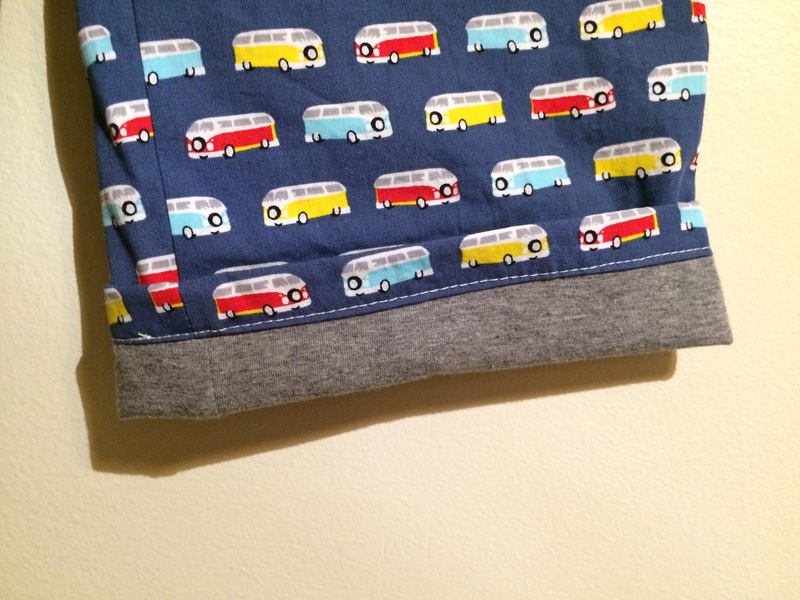 On this pair I lined the pockets and added some bias tape trim inside the hem of one pair for little peek of colour, and the option to flip up while the kids grow in to the length if you sew them a little longer. There are some wonderful fabrics to be found. 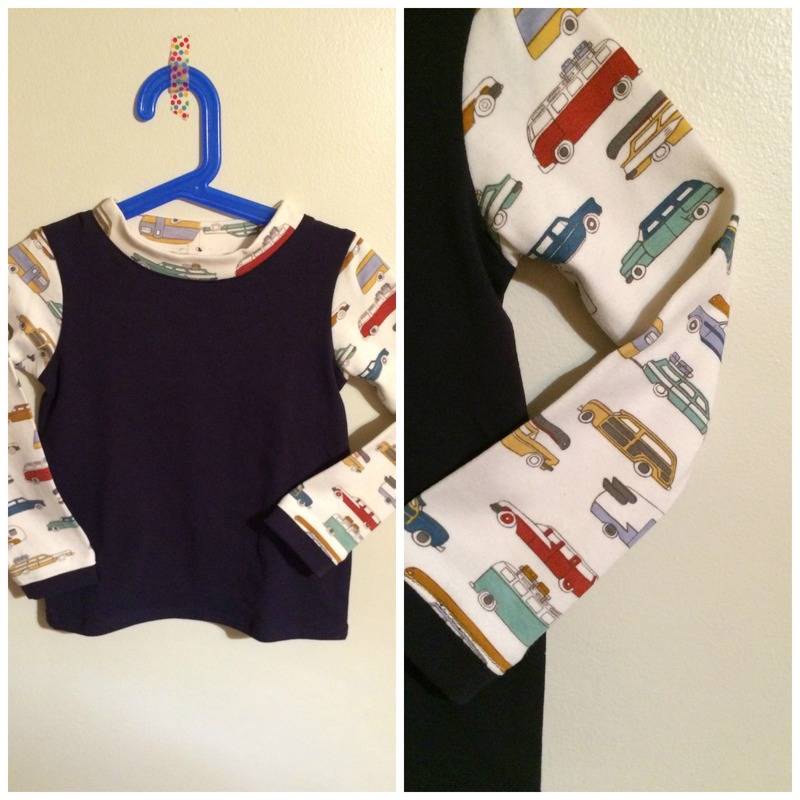 Why not whip up a few fun shirts for the little ones in your life. The pattern I use is the Flashback Skinny T – available in sizes 12 months to 14 years. This is a great pattern for knits and gives you several options for necklines, sleeve lengths and cuff-styles. 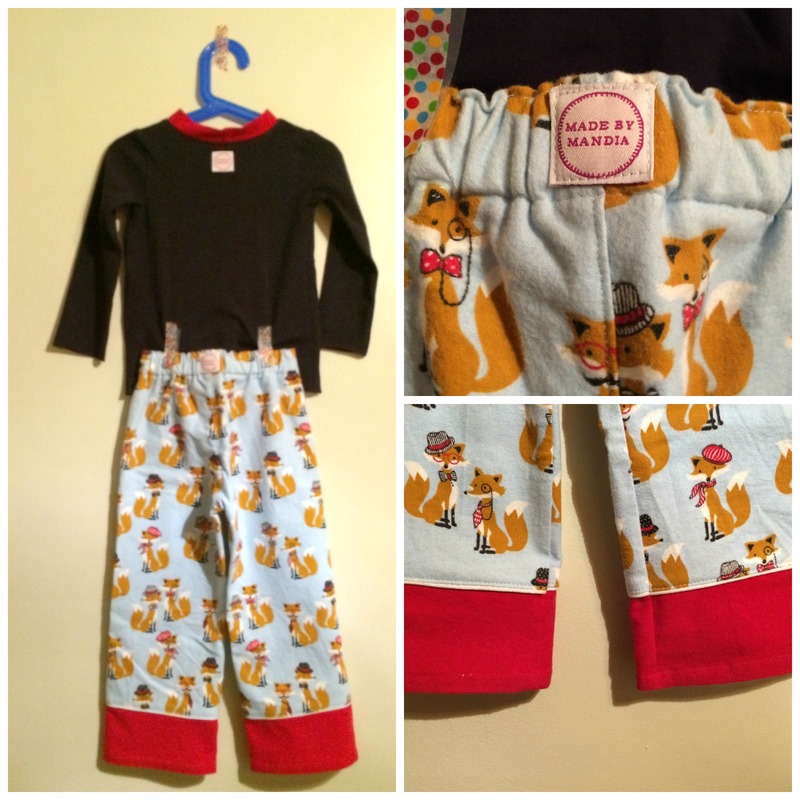 Why not add some new pjs to your kids’ 2015 wardrobe? 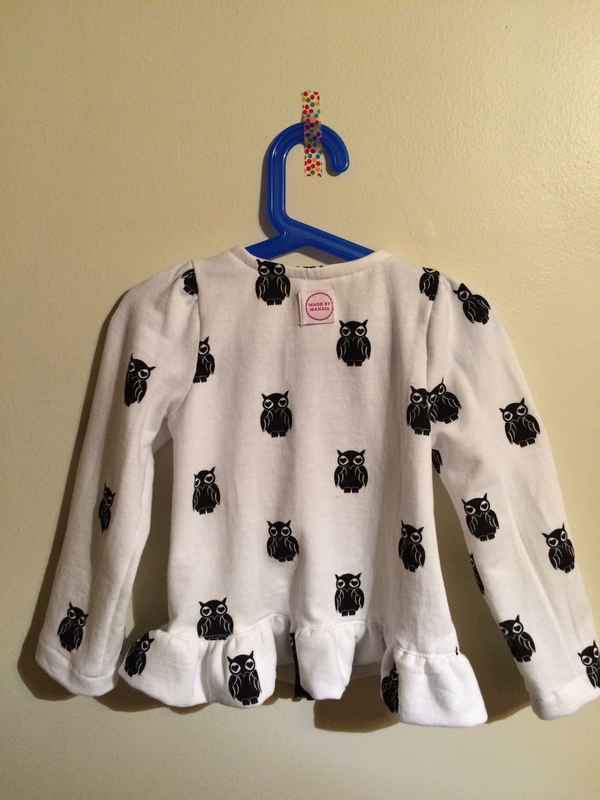 For the top of these jammies I used the same t-shirt pattern as above. To keep it comfy for sleeping I skipped the hemming of the bottom and sleeves to keep it soft and free of as many seams as possible. 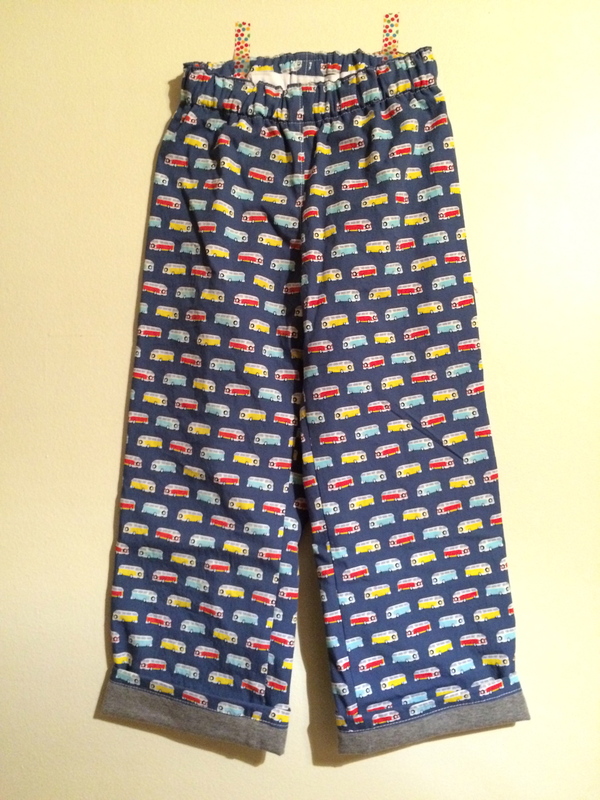 For the bottoms I used the pattern that I used for the comfy car pants above. I used a soft flannel and again skipped the pockets and drawstrings. I added a contrast cuff to the bottom to give them a traditional pj look. 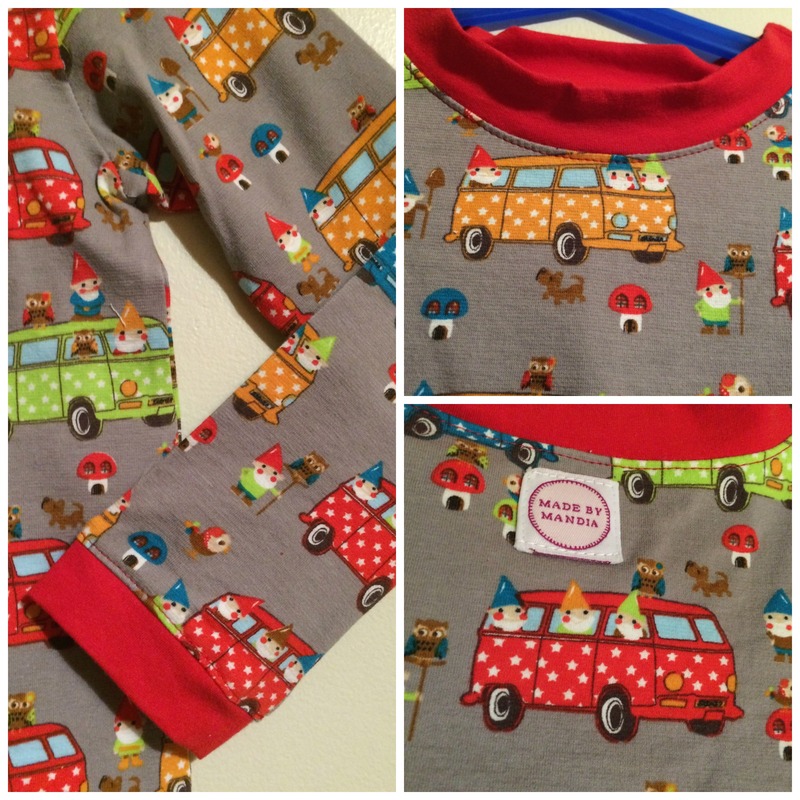 Of course there’s some of these jammies you can whip up easily too out of recycled old t-shirts and polo shirts. This one last little project is a fun one to sew as a birthday gift for any parties that your kids might attend this year. 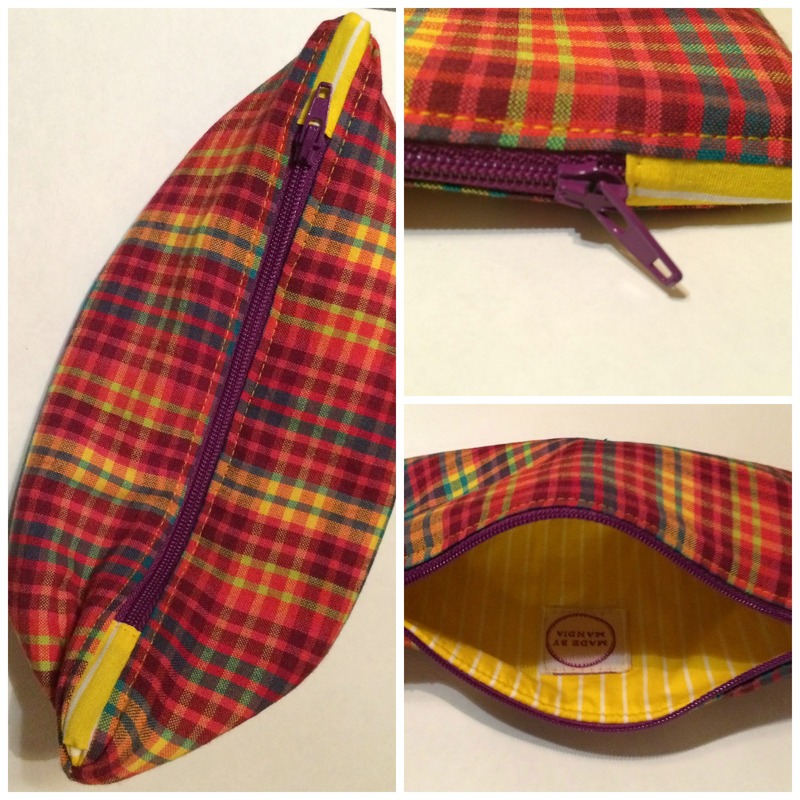 This is a free pattern and tutorial for a pencil case, or toy pouch (or makeup pouch for mommy?). 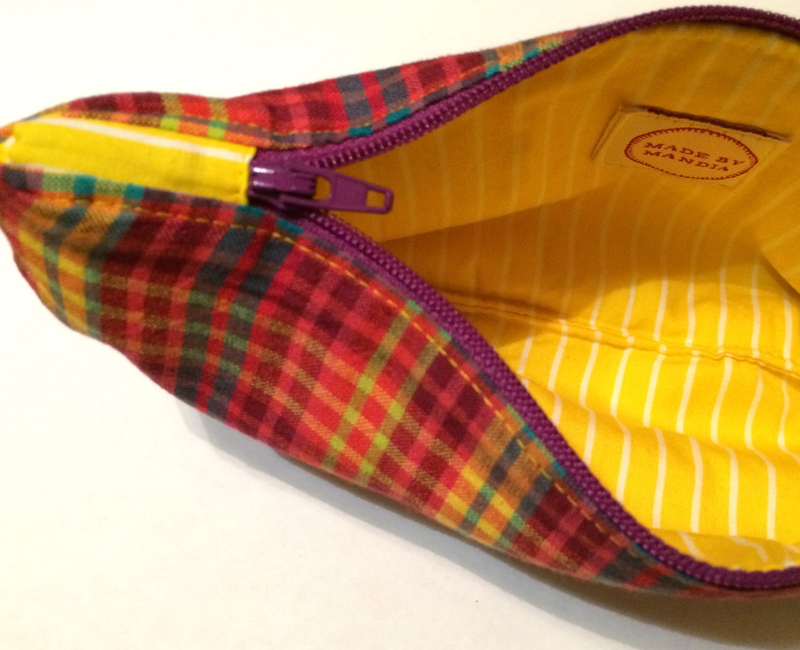 I added a layer of felt in between the fabric layers here to make the pouch insulated – a little more firm, than flimsy. If you like any of the fabrics you have seen in this post – here are my sources. L’oiseau Fabrics – a great Canadian source for wonderful European fabrics. Amazing quality, service, and super fun prints that you won’t see anywhere else. Girl Charlee – a great source specializing in unique knit fabrics. Fabricland – my source for basics. Thread, notions, interfacing and lining fabrics. Want your own labels? Here’s where I ordered mine. I love the professional, finished look that they give my handmade goodies. Happy New Year! Happy sewing everyone.